If there’s one thing that budget travelling teaches you about it’s sharing. Not that I’ve never had to share before, I grew up with my brother and while I was not that fussed about playing with many of his toys, everything else was shared. Our parents’ attention, the one family television, even our bedroom was shared for a little while. But then you get a bit older, have your own place and get used to things just being yours. Until you go travelling at the ripe old age of 29 that is and suddenly you find yourself queuing for the bathroom again, having quick showers so the queue doesn’t build up too much, sharing your bedroom with 12 other people – and even sharing your train seat (that cost good money) with a couple of others that would otherwise be standing. And you just sort of learn how to share all over again. And I thought I was doing pretty well. 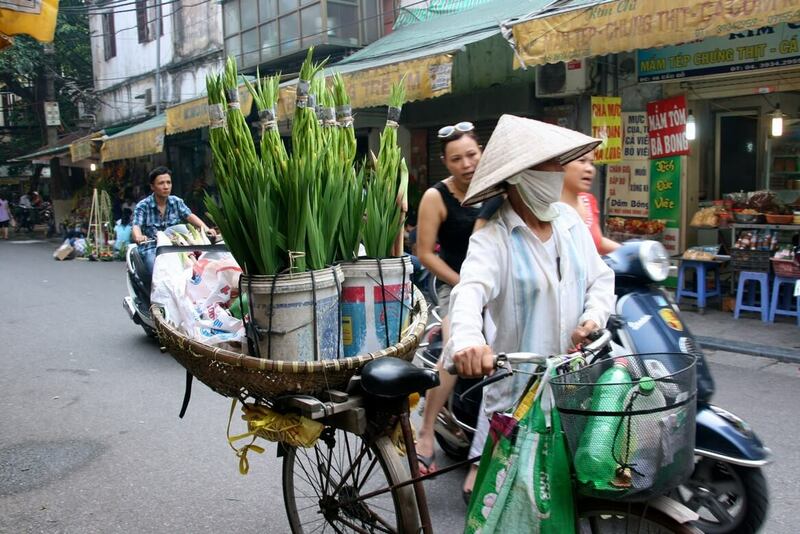 Until I got to Hanoi, Vietnam that is. Welcome to the world where entire families share a motorbike and will squeeze all five of them onto the back of it. I kid you not. In fact yesterday, I saw a guy riding a bike with his dog sitting quite happily on the seat behind him (I mean, seriously which British dog would do that and not try to jump off on some sort of terrified suicide mission?) He stopped, two others got on and the dog just sort of shuffled up between them. Even the dogs know how to share here. But the really remarkable thing is how people live. The Old Quarter in Hanoi is the beating heart of the city. 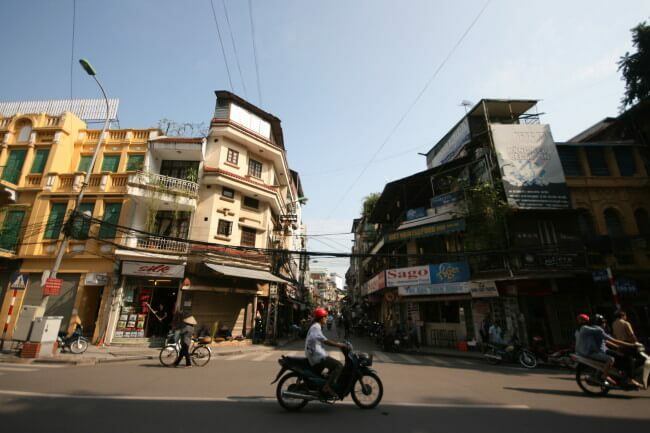 Consisting of hundreds of buildings crammed in next to each other, it is an intoxicating blend of architecture, with French influences, Vietnamese influences and just plain desperation all piled on top of each other. With height restrictions in place by the Government, Hanoians have taken to throwing tin extensions onto the front of their homes that jut out in the air in a precarious manner, while also lowering ceilings to create more levels inside the buildings. And she’s not wrong. 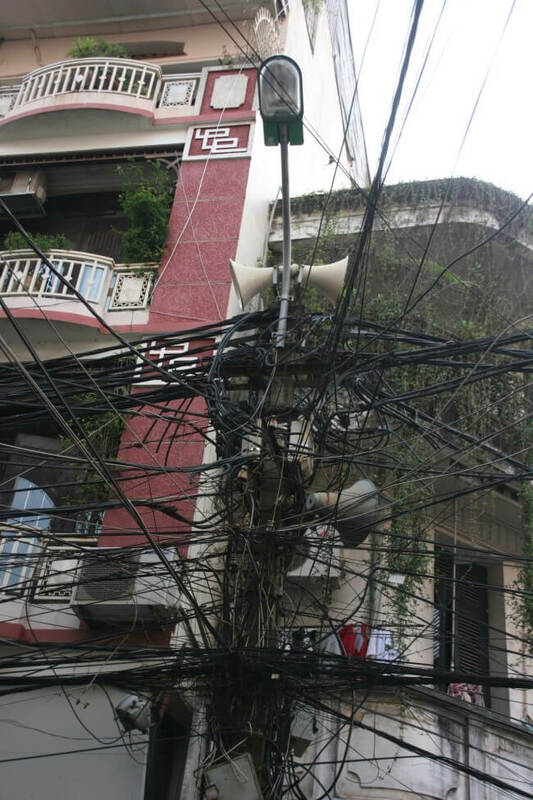 Dozens of huge thick black wires hangs haphazardly across the streets, entwined. “Sometimes if your lights go out, they are fixed but then your internet goes out,” said An, looking up to huge mass of black wires above us. But somehow the higgledy-piggledy mess of wiring and housing is sort of what gives the Old Quarter its heart beat. And it is a city that beats loudly. 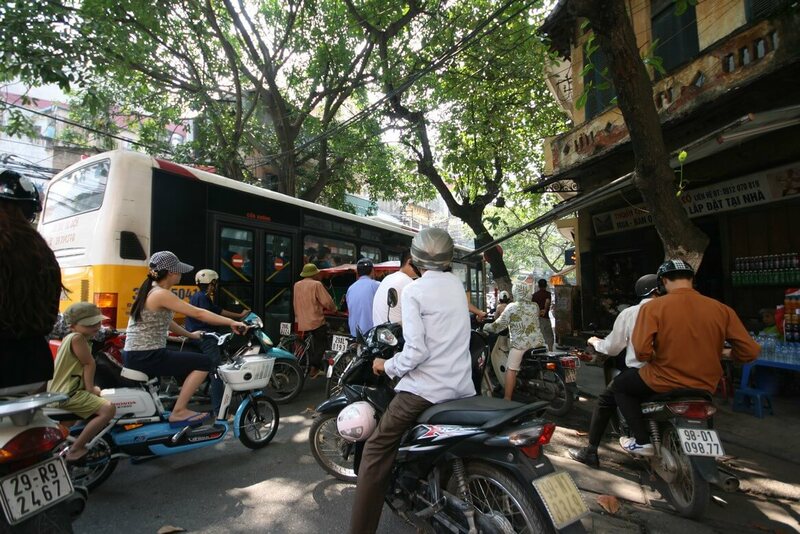 The noise in Hanoi is overwhelming. The first noise is the motorbike. With a population of more than six million, it is said there are about four million motorbikes in the city. And it is overwhelming. The revving of the engines and the honking of the horns feels like an angry orchestra that is playing its crescendo over and over again. Crossing roads is not for the faint-hearted. But underneath that noise, if you can find it, there is so much else. There is a lot of singing. If you listen carefully you will hear the women who carry fruits and sugary snacks in the baskets they carry over their shoulders on long poles, softly singing about their goods. But listen even more carefully and you will hear the sound of dozens of birds singing. 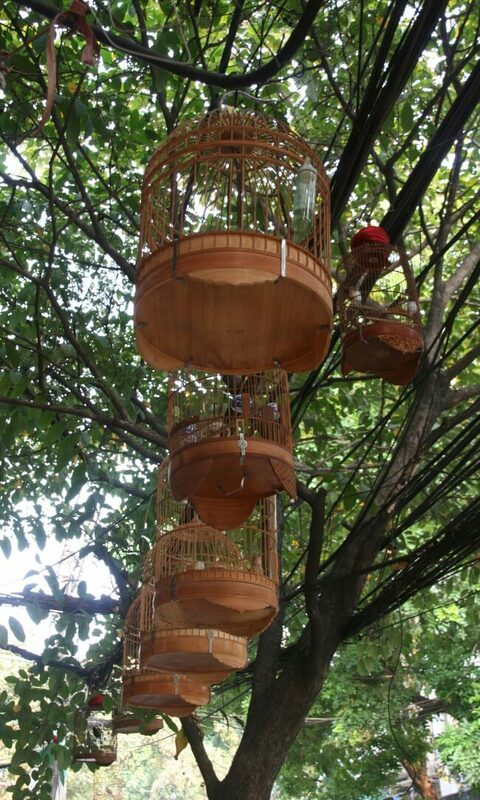 Hanoians love their birds and almost every stall has a handful of budgerigars in cages around them, chirping and twittering their way through the day. And then there are the sounds of the tradesmen as they go about their work on the pavements – the banging of tin and copper, the sanding and chopping bamboo or the sound of children running aroud with their new “clackers” on toy street. 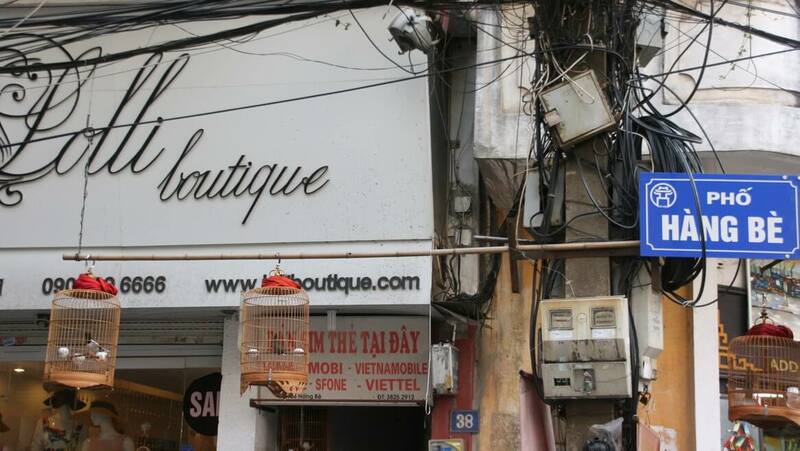 Because the streets in Hanoi don’t sell everything. No, no, the Old Quarter is just like a massive market and while one street will be “shoe street”, another is for underwear, toys, copper or decorations – there is even one for cellotape where shop after shop has hundreds of rolls stacked up on top of each other. The pavements are not for walking. They are for working. 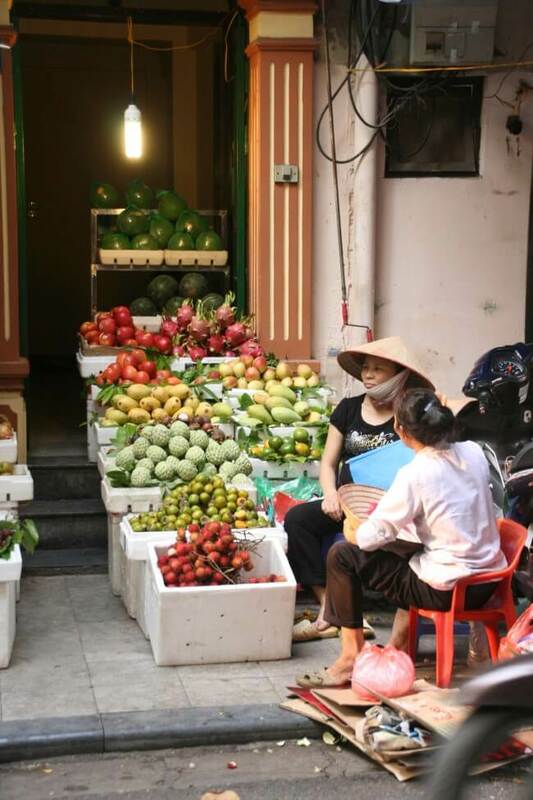 Hundreds of women will be selling their wares, sitting on tiny plastic stools for hours upon hours outside alleyways. 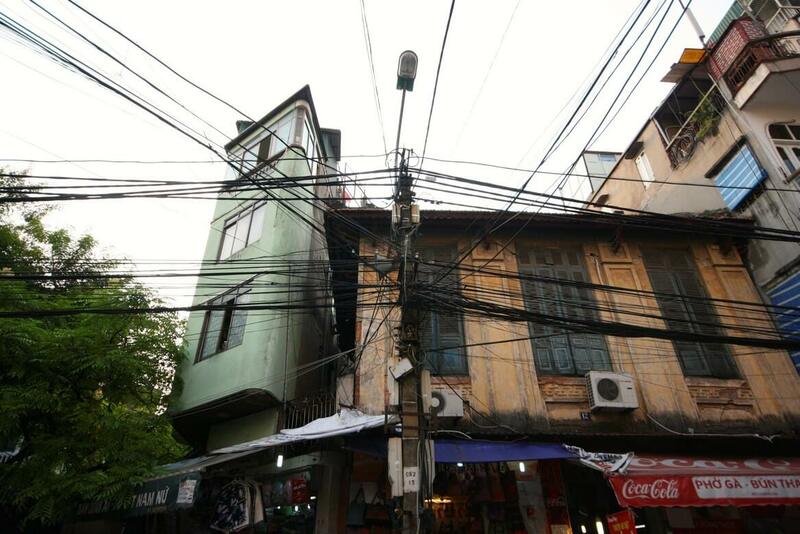 But it’s what’s behind those alleyways that explains the real secret of Hanoi. For each alleyway is the gateway to one of the towering buildings that make up the Old Quarter. 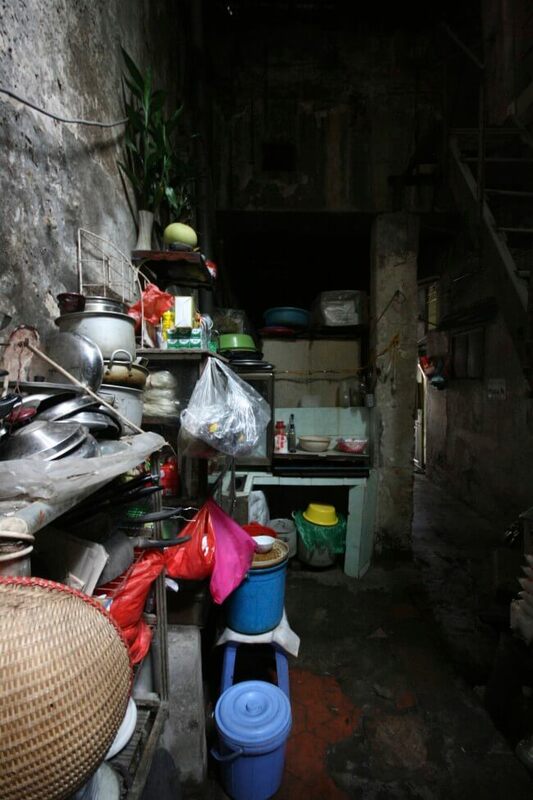 Each alleyway leads to a house that may hold on average seven or eight families. Each family has a room of their own where they will sleep in a fittingly higgledy-piggledy manner, but they will share everything else. The kitchen, the bathroom (yes that’s right, one bathroom for seven families), the washing area, everything is shared. Often it is the ground floor of this building, that will be open-air to allow natural light into it, that will hold the communal facilities with doors and stairs leading into the homes of the families. I looked at the communal sink of the house that An had led us down and saw about 20 tooth brushes lined up next to it. And suddenly I realised I’ve never really had to share anything. As we walked out of the alleyway we glanced at the lady selling deep fried tofu and rice noodles. 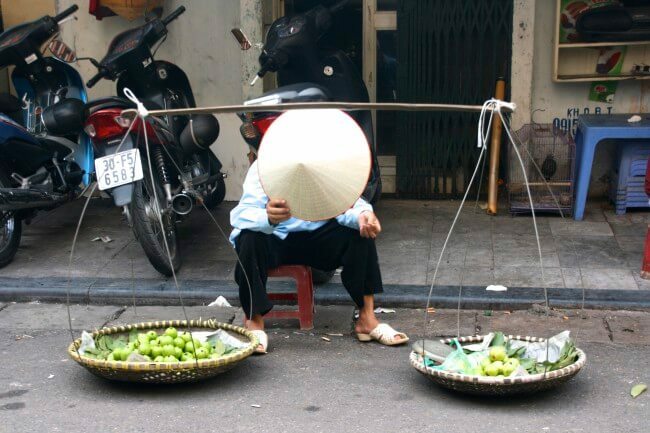 “If you come back at lunch-time you will find a different woman selling pho, or at dinner-time you will find another woman selling seafood,” An explained. “That’s the prime business spot for the families of this house so they have to share it,” she added. Of course they do. Because really, there is nothing that is not shared here. And as I watched the vendor chat to everybody around her and calling out at children that ran in and out of the alleyway I was reminded by just how much more you get when you share with others. And I vowed to get a little bit better at it. I got under the skin of the Old Quarter by taking a walking tour with a company called Hidden Hanoi. Lasting about two hours and costing $25, it was worth every penny. 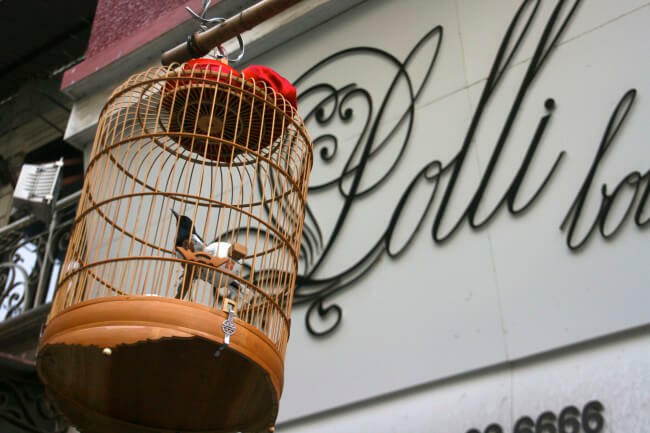 We explored alleyways that I would never have dared explore alone, tasted delicious coffee in hidden coffee shops and were taken into people’s homes in the Old Quarter. It finished with a 20 minute cyclo tour of the city – the perfect way to see it all without being distracted by whizzing motorbikes! This entry was posted in Recent Posts, Vietnam and tagged City breaks, Urban life by Delia. Bookmark the permalink. Thanks Verity! Where will you be living? 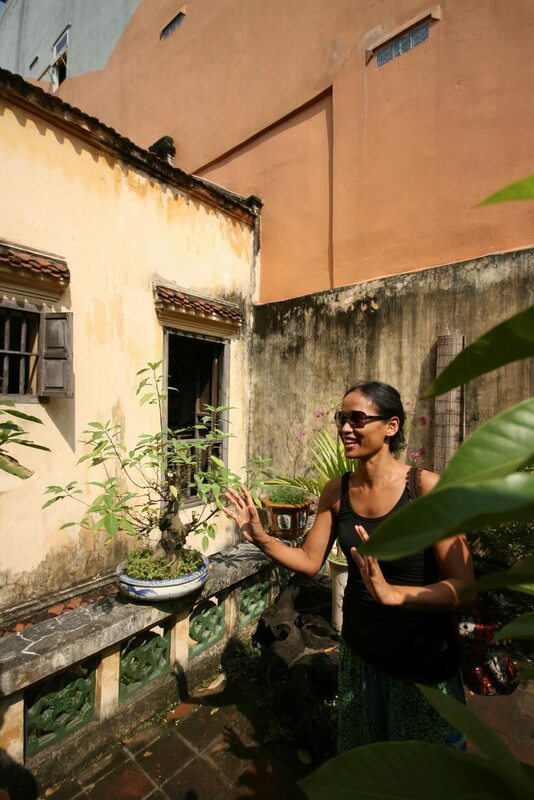 We’re going to be down in HCMC until March so look me up if you come down south! Ohhh exciting! 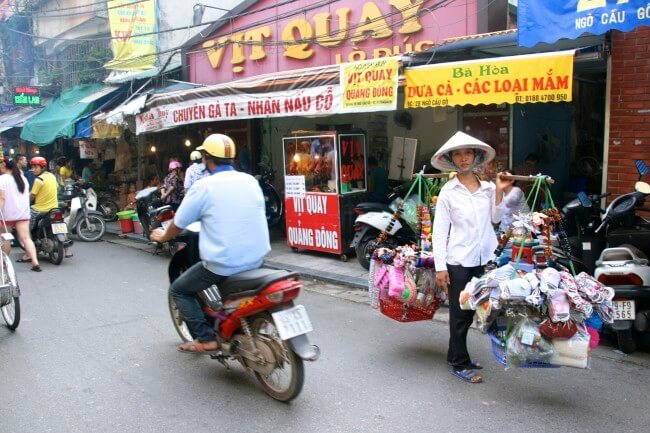 Flying into HCMC in January and are going to decide where to live once we’ve explored the country a bit. Will definitely look you up, thanks! I love all the wires. Looks just like China! I know, I think they’re so atmospheric! Greetings from New England. I stumbled upon your blog and I must tell you that I am enjoying it immensely. Your photos are wonderful and everything is so well written. I look forward to reading more about your travels.